In this warm, coming-of-age comedy, shy bird-watching enthusiast David is struggling to cope with his father's impending remarriage when he stumbles across a duck that had been presumed extinct. 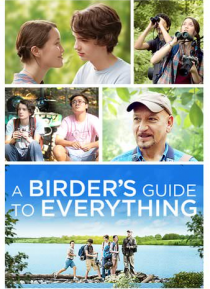 Assembling a ragtag team of friends, the group of teenagers goes off on a quest for proof with the help of a birding expert (Academy Award winner Sir Ben Kingsley). Also starring Katie Chang and Alex Wolff… .